Last night on SmackDown Live, the show’s commissioner Shane McMahon became part of Team SmackDown at Survivor Series. It was an ingenious move that made the Blue Brand the official face of the PPV. Here’s how Shane’s leadership impacts the brand at Survivor Series and beyond. SmackDown is the underdog show that listens to the people and gives them what they want. From AJ Styles and Dean Ambrose at the top, to James Ellsworth on the roster, to Slater & Rhyno champions – the Blue Brand has delivered everything the WWE Universe asked for. RAW, on the other hand, has the image of a corporate production under the thumb of the oppressive Authority, working form the shadows. That’s already telling us who’s the good guy and who’s the bad guy. However, having Shane lead his own men into battle draws the face/heel dynamic between the brands to the surface. Shane is a fan favourite, as much as Daniel Bryan is. The reason is that the WWE Universe perceives them as ordinary men, who just do what they love, instead of intimidating boss figures. The fans can get behind Shane’s quest and his team, regardless of how many heel members it has because it’s Shane’s team and that makes it the fans’ team, as well. Leading by example is a great way to solidify SmackDown’s image as the down-to-earth show that is just made to be loved by the audience. The central driving point of the brand split was the McMahon family feud. Now, it does get casually mentioned in backstage segments, but the Shane/Stephanie face off is being kept to a low profile. Shane’s direct involvement in Survivor Series, as a fighting leader brings the rivalry back into the spotlight. Next week on RAW, Shane will be on the show and we are guaranteed to have a quarrel between brother and sister. I’d expect to hear Shane saying that he’s fighting for his show, the people and that he’s doing what he loves. Stephanie, on the other hand will have the opportunity to remind him that he’s been gone for quite a while and tell him that what he’s doing right now is just for popularity and for his own ego. This would be a nice way of following up the development of what has already been started. It would show that the WWE keeps continuity in mind and keeps track of storylines, even if they’ve been idle for a long time. There is one more thing that Shane can accomplish at Survivor Series and it goes beyond the PPV or the brand feud. He could set up the main event of WrestleMania 33. One man who will also be at Survivor Series is Brock Lesnar. The clash between these two has been teased for a while. The hints were subtle and yet clear. Having both Shane and Brock on the same big stage, would allow for another exchange between them. I’m not talking about a fight because both have their own battles to think about. Then again, nothing stops Shane from running into Lesnar, or even Heyman backstage and throwing a few lines. This would have a higher impact if Lesnar’s already won his match. It would made the face-off that much more tense. A little teaser of a WrestleMania feud is never too early, even though we are still in November. 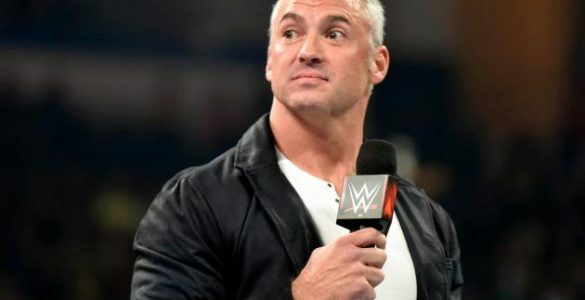 What do you think about Shane, joining Team SmackDown at Survivor Series? Leave a comment and let us know! ← Should the WWE Say Goodbye to Hell in a Cell?